Background: Cardiovascular disease (CVD) is the leading cause of death and disability in women worldwide. In the United States (U.S.) disparities in CVD exist for women living in rural areas as compared to those in urban areas as well as for women of color as compared to White women. The risk factor burden varies by geographic location, race/ethnicity, and socioeconomic status. There is also wide variation in CVD mortality rates according to specific geographic location, which may be reflected in significant differences in overall mortality rates. This chapter explores the disparities in CVD risk factors, access to care, and outcomes among women with an emphasis on rural/urban and racial/ethnic differences. Methods: The authors conducted a search of PubMed, CINAHL, and Medline to identify the pertinent articles related to women’s CVD geographic and racial/ethnic disparities. Keywords used in the search are: cardiovascular disease, rural, urban, African American, Hispanics, neighborhood and women. Results: CVD health disparities among women and minorities persist despite comprehensive educational campaigns to improve CVD outcomes. Women have higher CVD mortality rates than men in rural and urban areas but the highest mortality rates are among women in rural areas, especially in women of color. 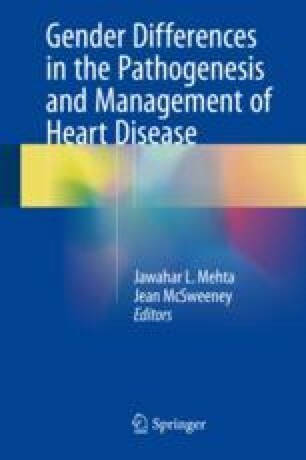 The existing literature supports that minority women, most notably Hispanics and Blacks living in rural areas as compared with White urban women, have: higher CVD mortality rates; higher incidence of diabetes, stroke, hypertension, and obesity; and are less knowledgeable about CVD risk factors. Additionally, they have more poverty, decreased education, lack of access to health care, and are more likely to live in unsafe neighborhoods, further impeding their ability to alter lifestyle to decrease CVD risk factors. Therefore, the gender/geographic disparity in CVD mortality rates may be partially due to increased risk factors in women as compared with men, especially in rural areas, but further research is necessary to examine causes of this disparity. Conclusion: There is a scarcity of research that investigates CVD disparities in women according to geographic location and race/ethnicity. This knowledge is essential in order to develop tailored interventions to reduce CVD burden in rural minority women who are most at risk for developing CVD. Women’s Health World Health Organization. 2013. http://www.who.int/mediacentre/factsheets/fs334/en/. Bachert A. CV mortality varies widely amoung U.S. counties: geographic variation in social determinates may play a role. 2017. https://www.medpagetoday.com/cardiology/strokes/65323.